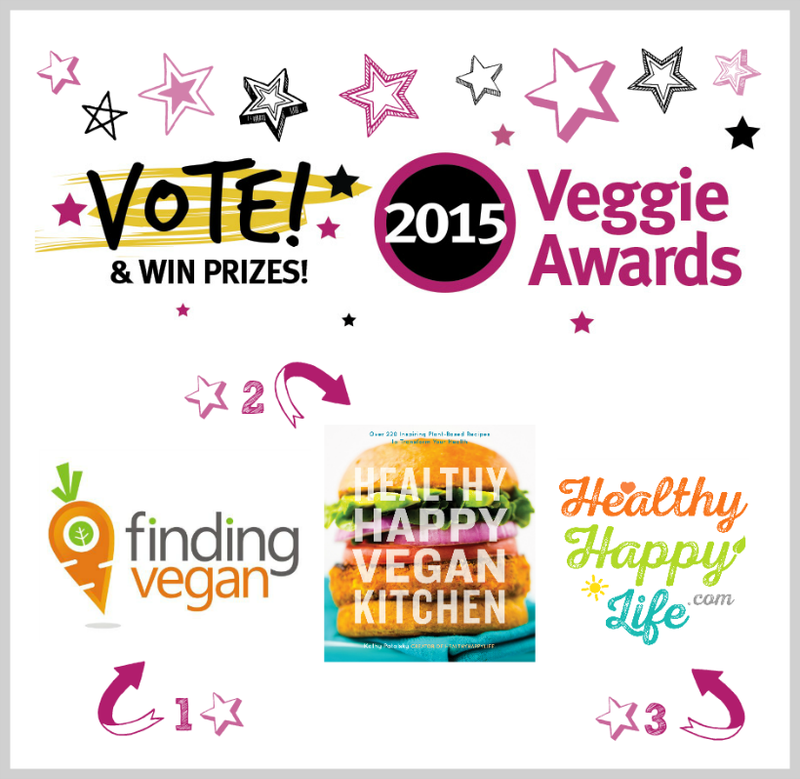 2015 Veggie Award Nominations + More! 1. Veggie Awards. I always adore the VegNews veggie awards. My blog has been kindly nominated for "favorite blog" a few times, so I am thrilled to again be nominated among a stellar list of bloggers. But I am especially excited about this year's awards because I am nominated in three categories this year, which is pretty exciting and a huge tribute to the very busy year of work and projects I have completed. Seriously, being nominated makes the exciting events from the past year feel that much sweeter. - HealthyHappyLife.com for "favorite blog"
- Healthy Happy Vegan Kitchen for "favorite book"
- FindingVegan.com for "favorite website"
..this is the FIRST time FindingVegan has been nominated after me "writing it in" and asking fans to "write us in!" in years past - so being on the ballot really made my heart swell with joy. When I saw it, I believe I dropped my phone on the couch and squealed to my husband. And to be nominated in such talented company is beyond amazing. I love the Veggie Awards because they celebrate such a wide array of vegan superstars. Products, places, people, websites, organizations and more. The awards are a great way to discover new vegan finds, as well as vote for your faves. When you vote, you will be entered to win some fantastic prizes. Vitamix, $500 gift card to vegan essentials, loads of ice cream and more. SXSW. Another vote request, but really I am so passionate about this.. You guys may remember I had SO much fun hosting the official Vegan Meetup at SXSW in Austin last year. Well for SXSW 2016 submissions, I went out on a "food" limb and submitted a presentation about wellness beverages at work. "What's in Your Mug? Matcha vs. Coffee!" I loved all the food-themed presentations at SXSW last year, so I would love to be a part of that this spring. And lastly, (last one I promise!) If you haven't already, please please hop on over to Amazon and leave a review for my cookbooks, if you own them. I LOVE reading the feedback and greatly appreciate the time it takes to write something for the world to see. Even a super quick 1-2 sentence review is greatly appreciated! More positive reviews means more people are likely to find my book and infuse their lives with vegan recipes = win for people, the animals and the planet! OK, I have now completed my vote begging, review-writing-request post of 2015. 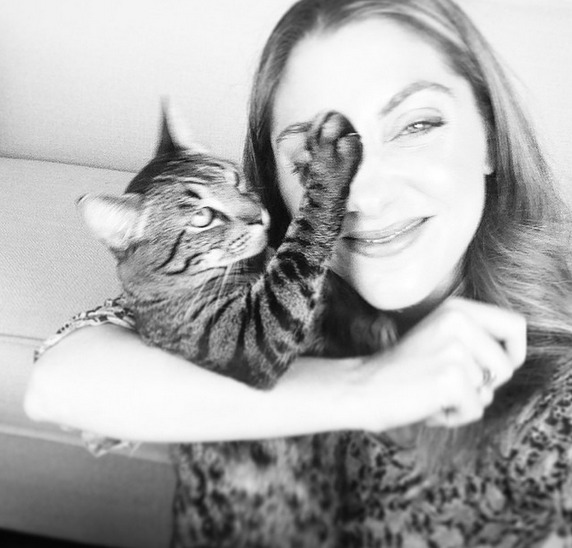 To show my gratitude I offer up this photo with a caption, one of my faves from my collection of kitty instagrams blogpost..
"OK mom, now STOP asking the kind people to vote for you ..... and open me another can of food." - Sochi the cat..